Festo invites you to maximise your competitiveness in the industry. We are offering a course on an ‘Introduction to Industry 4.0: Core elements and business opportunities’. This course appeals to management level, senior executives and engineering professionals. Attending this half day accredited course will earn you 0.5 CPD points. The second half of the day will include a seminar from four of our industry specialists. 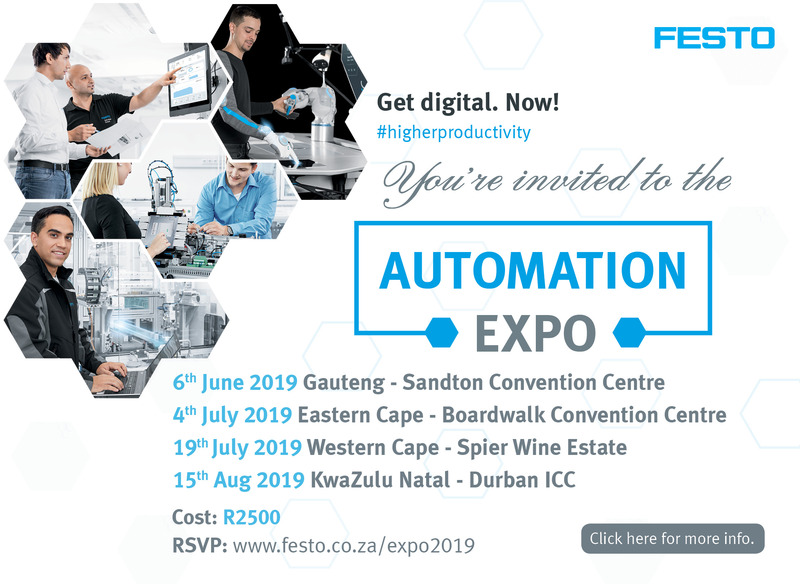 Furthermore, this technology savvy expo will exhibit our solutions that are guaranteed to increase your productivity in the automation industry. All this is valued at only R2500! As a ‘Thank you’ from Festo, we will end the day with a German themed cocktail function that will take place after the seminars.